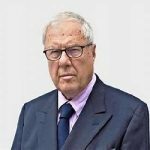 Lord Carrington was Foreign Secretary when the Argentinians invaded the Falklands. Absent in Israel, he promptly resigned since it was, he said, a point of honour. Seen by many as the last of his breed in politics, an honourable man committed to public service. 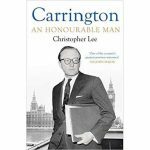 Writer, historian and broadcaster Christopher Lee will be in conversation with Anthony Seldon discussing Lord Carrington’s life and honourable politicians in general. And in the present climate? Spot the honourable politician. Definitions may be suspect.